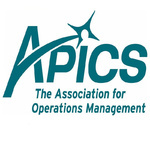 Apics is a well-known chain renowned to provide expert management professionals to global corporate and business houses. They are providing such essential service since 1957. They are one of the leading resources of operations management and supply chain. They provide effective training of highest standards to build highly talented and skilled professional in the industry. They even provide a scope to interact with efficient operations and supply chain management professionals. Their comprehensive resources on educational front in various areas of materials management, logistics, purchasing, inventory and production is simply outstanding. They even issue certificates for professional, which are internationally recognized. There are currently 0 consumer reviews about Apics available. Share your review. Please take a note that you are about to post a public review about Apics corporate office on CorporateOffice.com. This review will be public, so please do not post any of your personal information on this website. If you would like to contact the corporate offices of Apics, please use their contact information such as their phone number, website, and address listed above to contact them. However, sometimes staff from Apics headquarters do read the reviews on this website.